Mondia | Infonet Biovision Home. Mondia harvesting The roots of Mondia whytei are harvested extensively from Kakamega Forest in a well organized trade leading to scarcity of the plant Mondia whytei roots are sold in towns in Kenya and in other African countries. Mondia whytei market The roots are eaten by the young and old as a flavoring and appetizing agent. Geographical Distribution of Mondia in Africa. Source PROTA. Updated on 26th March 2019. 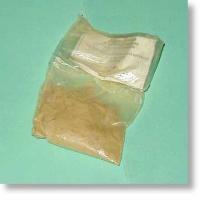 It is widely distributed in tropical Africa from Guinea through Cameroon to East Africa. It is widespread in Zimbabwe but threatened in South Africa, due to over collection for medicinal purposes. In Kenya its more prevalent in the remnant tropical rain forest of Kakamega and its outliers Malava, Kisero and Bunyala, scattered in Nandi forests and ranges, Chyulu hills, Mt. Kilimanjaro regions, Mt. Kenya ecosystem and some parts of Coastal regions especially Arabukosokoke (Mukonyi et al 2001) and in Malawi, Uganda. Mondia whitei (Hook. F.) Skeels (Apocynaceae) is also known as mondia, or Whites's ginger. 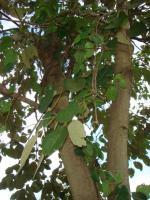 Mondia is a vigorous climber (3-6 m high) with attractive heart-shape leaves and a vanilla aroma. The flowers are arranged in panicles of cream-yellow buds which open to reveal deep reddish-purple inner petals. Habitat: it is found in a variety of woodland habitats. 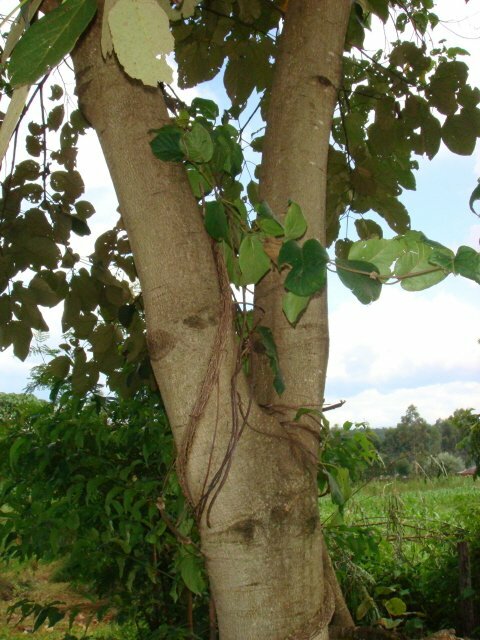 Mondia whytei is a slow growing vine that used to be abundant in Kakamega Forest but is now getting scarce. Main threat to the species has been over exploitation by local communities for subsistence and commercial purposes. The species is reported extinct from wild source in Tugela river in South Africa (Crouch et al 1998). 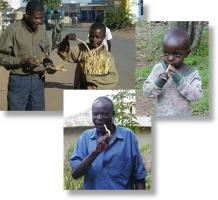 In Kenya its among the heavily exploited species from Kakamega forest by local communities (Mukonyi 1998). It is reported to have disappeared from central province due to over exploitation and increase in demand for agricultural land. 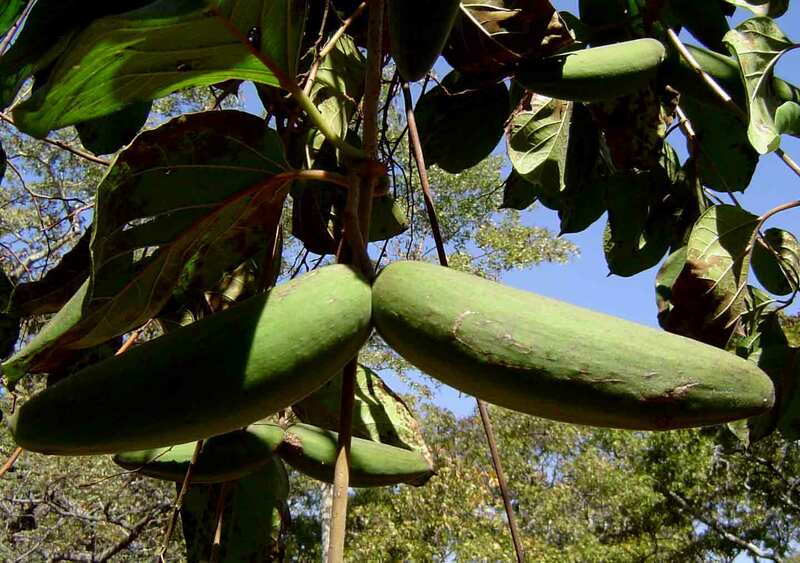 The roots of Mondia whytei are harvested extensively from Kakamega Forest in a well organized trade leading to scarcity of the plant Mondia whytei roots are sold in towns in Kenya and in other African countries. The roots are eaten by the young and old as a flavoring and appetizing agent. 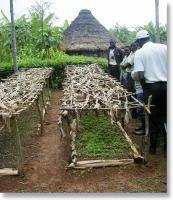 More than 500 members of the community adjacent to Kakamega Forest were trained in methods of cultivating M. whytei on-farm. 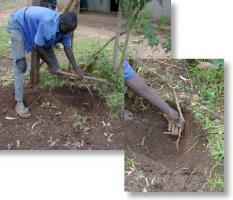 Community members are shown how to prepare seedbeds for M. Whytei seedlings. Once mature, roots from the farmer's plots of M. whytei will be purchased and used for commercial production in powder and other forms. Mondia whytei market. The roots are eaten by the young and old as a flavoring and appetizing agent. The roots of Mondia whytei are harvested extensively from Kakamega Forest in a well organized trade leading to scarcity of the plant Mondia whytei roots are sold in towns in Kenya and in other African countries. 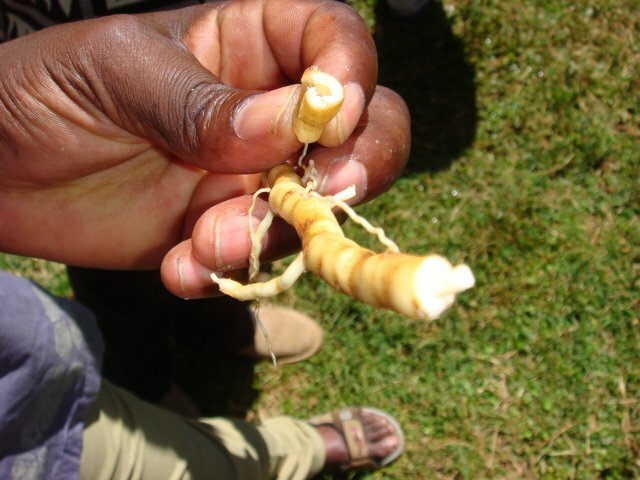 Mondia whytei root infusion is popularly used as an aphrodisiac in Malawi and as a natural appetizer, enhancer of cerebral and peripheral blood circulation. Food: the fleshy bark of the narrow roots is eaten raw or occasionally in the dried state for its good taste, as an appetizer, to freshen the mouth or for pleasure leaving a persistent spicy taste in the mouth; a source of vitamin A, D, K and E, the minerals, magnesium, zinc, iron, calcium and protein. Medicinal use: anorexia, treatment of sexually transmitted diseases, stomach ailments and impotence, in countries where it occurs in Africa. The Luhya community of western Kenya use it for; love potion, symbol of peace, sign of power, treatment of hypertension, stroke, anemia, improved sleep, body warmth, asthma, enhanced urination, hang-over, mastitis, allergies, eases after birth pain, heartburns, bilharzias, stress and tension, measles, hepatitis, rickets, typhoid, stops vomiting, meningitis, pneumonia and improved vision. Others include, mouth fresheners, aphrodisiac (root infusion), food and mouth diseases, enhanced memory, appetizer, toothbrush, leaves for animal fodder and human vegetables. Studies were undertaken to establish important phytochemicals and its nutritional status to support the traditional claims and enhance the species value for improved marketing and conservation. The main flavouring principle preferred by consumer was identified as 2-hydroxy-4-methoxy benzaldelyde. Both root and leaves extract were active against, brine shrimp. The root extract were active against Neisseria gonorrhea, and superior to minoglycine drug used for control of sexually transmitted diseases (STD). Both root and leaves showed antibacterial effect against Escherichia coli, Salmonella typhii, Pseudomonas auriginosa, Bacilus subtilis, Staphylococcus aureus and Shigallae dysentrae. Escherichia coli was more susceptible while Salmonella tyhpii showed the least. Fungal bioassay carried out on Candida albicansand Aspergillus niger showed root extract to be more potent than leaf extracts. Roots and leaves showed varied significant amount of proteins mineral vitamins and sugars depending on source. Mean concentration levels of minerals varied as potassium 11.34 - 32.05 mg/g, Sodium 5.61 - 24 mg/g, Magnesium 1.40 - 2.83 mg/g, Calcium 3.08 - 8.25mg/g, Iron 0.20 - 0.43 mg/g, Zinc 0.03 - 0.07 mg/g, Copper 0.003 - 0.06 mg/g, Manganese 0.64 - 0.05 mg/g, Cadmium and Lead were in trace amounts. Crude protein ranged from 4.35 mg/g - 21.8 mg/g, highest being from leaves. Vitamin varied as B carotene 4.35 - 21.81 ug g-1, Thiamine 0.78 - 3.70 mg g-1, Niacin 0.52 - 8.15 mg g-1, Riboflavin 0.62 - 2.45 mg g-1 and sugars, fructose 7.908 - 15.26 ug g-1, Xylose 9.17 - 18.70 ug g-1, glucose 2.40 - 9.0 ug g-1. Comparison of basal diets for animal feeds, showed Mondia leaves had high crude protein and ash percentage of 20.25 and 16.98 respectively while dairy meal had crude protein and ash percentages 16.76 and 7.83 respectively. These results support traditional medical claim on use of Mondia whytei. The results show it has potential for human and animal health care. The chemical and phytochemical results have been used to reschedule Mondia whtyei products for quality assurance that are now being sold in leading Kenyan supermarkets. The uncontrolled collection and sale of large quantities of plant material from the forest leads to the destruction of many forest plants. Local communities, traditional medicinal herbalists and herbal medicine vendors popularly collect roots, bark and whole shrubs. The Kakamega project has introduced a new action plan to support sustainable utilization of medicinal plants. 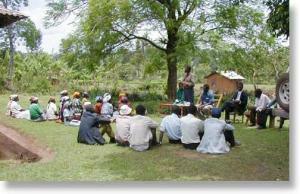 Farmers have been mobilized to practice on-farm cultivation of selected medicinal plants. This results in reduced pressure on forest herbal medicine while providing alternative income to the local community. Candidate medicinal plants for on-farm cultivation and commercialization were selected on the basis of their product effectiveness, toxicity, propagation potential as well as product market evaluation. Extensive agronomic studies accompanied the selection process. The formulation of the plant products was refined by ICIPE in collaboration with the, Pharmacology Department, University of Nairobi and the Kenya Forestry Research Institute (KEFRI). Mondia whytei root (known locally as mukombera) is being formulated into a high value powder by KEFRI. 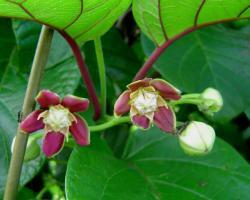 The plant is used as a natural appetizer, enhancer of cerebral and peripheral blood circulation. It is a source of nutrients such as vitamin A, D, K and E, the minerals, magnesium, zinc, iron, calcium and protein while its aroma makes it useful as a food-flavoring agent. A total of 14,000 M. whytei have been planted by the forest adjacent communities in their farms. The farmers also plant endangered tree species such as Prunus africanus adjacent to the vine to support it. Mukonyi K. W; 2002. New cash crop for Africa: Bioprospecting on Mondia whytei as a community based income-generating project in western Kenya. Agriculture Research Fund Annual Report, Contract No. ARF/LSKP/300/003/1. Mukonyi K. W; Luvanda A. M; Ndiege O. I; 2001.Bioprospecting of Mondia whytei for enhanced biodiversity conservation and increased rural household income in Kenya. Discovery and innovation: Special edition 49 - 56. Mukonyi K.W: 1998: Commercial utilization of indigenous plant species Mondia whytei in Kenya. Paper presented at a workshop on unlocking trade opportunities for non-timber forest products, conservation and organic products, 8 - 12 June 1998, Egerton University, Kenya.